You cast more than 100,000 votes over the course of a month. 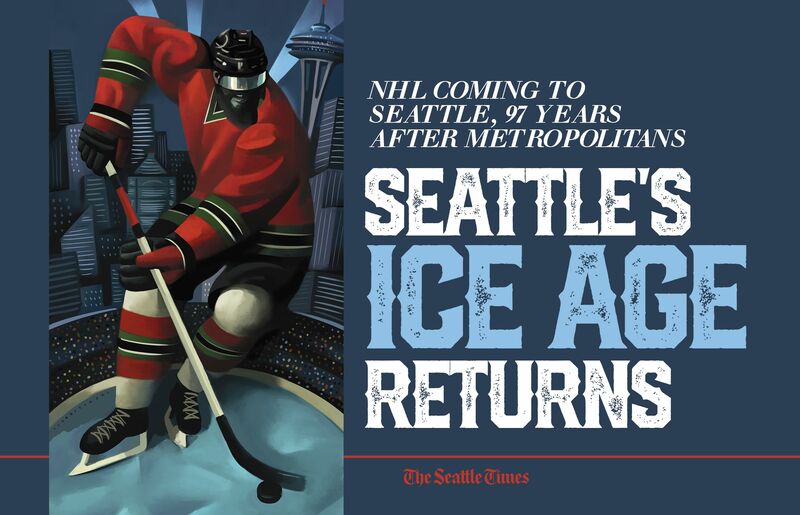 In that time, Seattle got even closer to an NHL franchise. What should its name be? It came down to Sockeyes and Totems. Fittingly, the final two rounds were nail-biters. It was the Sockeyes that emerged victorious in each, climbing the metaphorical fish ladder to the winner’s pedestal. Sorry, Team #NoFishNames. As for the local ultimate frisbee team of the same moniker? Much respect to the three-time national champs. But we did check the trademark registry, which didn’t return any hits. The name Totems renewed the debate over appropriating indigenous culture as nicknames and mascots for sports teams. 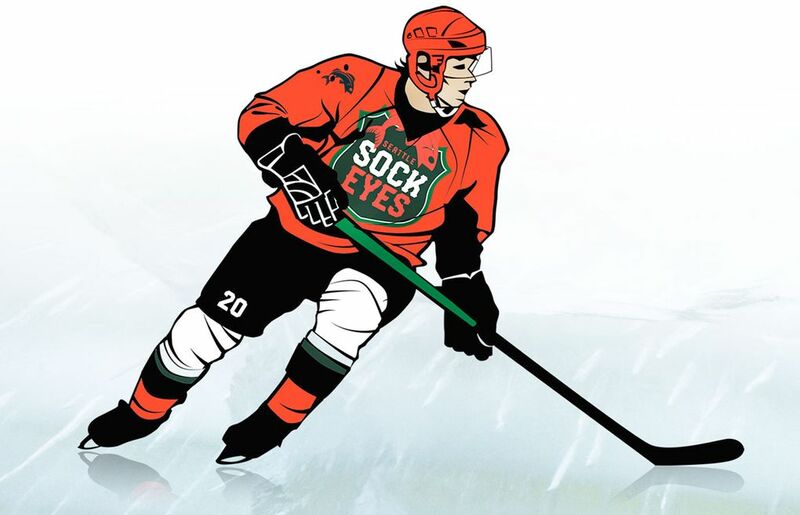 Yet, with its history as a professional Seattle hockey franchise from 1958-75, Totems drew the third-most reader submissions in our call-out and advanced all the way to the finals, receiving the second-most overall votes and upsetting the top-seeded Metropolitans in the Final Four (51%-49%). Then there were the early ousters. Sasquatch, Freeze, Grunge. And the one first-round upset — a classic 5 over 4, advancing the Steelheads over the mythological Kraken. But Kraken supporters were vocal the whole way, even with their team out of it, some going so far as to call into question the legitimacy of the whole process, to declare it a sham! We heard those cries from all sides. OK, well maybe not for Emeralds. That one didn’t seem to do much for anyone. At least the scrappy Fightin’ Geoducks had their diehards. 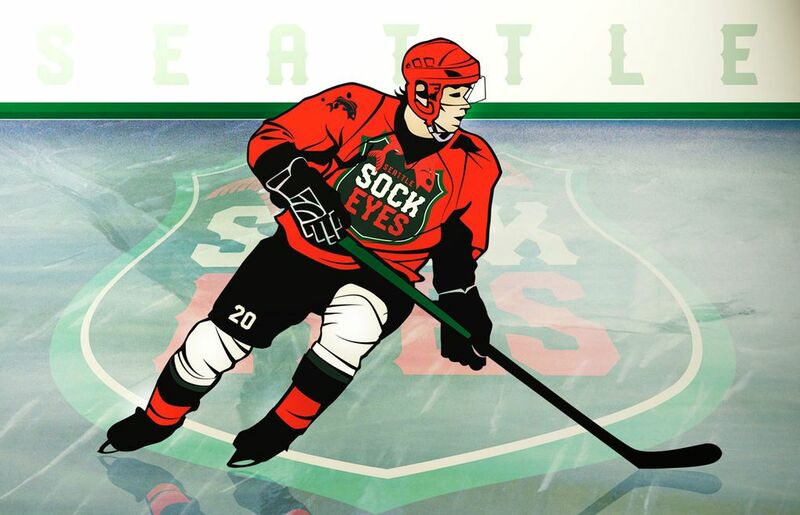 Just in the time we’ve run our bracket, Seattle has taken major steps to pave the way for an NHL franchise. Last month, the City Council unanimously approved a privately financed $700 million renovation of KeyArena. The following week, a contingent led by Mayor Jenny Durkan and brothers Tod and Tim Leiweke pitched the NHL executive committee and got a 9-0 vote of recommendation. All that remains is a full vote at the NHL board of governor’s meetings Dec. 3-4 in Georgia. We focused less on the logo and color scheme than the name, but Leiweke says he knows they are equal parts of a team’s soul. But don’t necessarily expect a traditional blue-green Seattle logo.